You Scream; I Scream; We All Scream For ICE CREAM! I love making homemade ice cream; from chocolate gelato to creamy pumpkin-pie flavoured; I’ve tried it all! The temperatures this weekend were up into the 90’s and with the humidex; felt like 105. 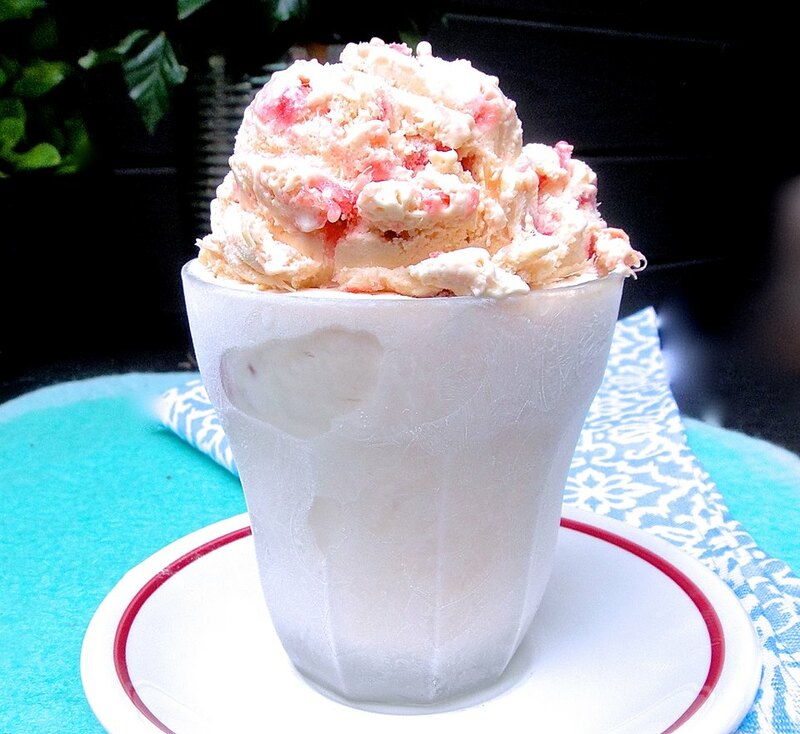 I’d say its time to make some frozen heaven- or Rhubarb Custard Ice Cream, don’t you? Click here for this basic video recipe I found online, courtesy of my domestic buddy, Martha Stewart. As I preserve in-season rhubarb, I used 2 cups of my own preserves instead of following the recipe directions for stewing the rhubarb on the video. Actually, any fruit spread (not jam) will work; apricot, blueberry or raspberry would be excellent flavour choices with this creamy custard base! What’s YOUR favourite ice cream flavour; ever tried Strawberry-Black Pepper? Licorice Ice Cream? Salty Caramel? KARL’S HINT: Add 1 tablesppon (no more!) of corn syrup to the hot custard mixture recipe. Corn syrup does not freeze, so it will help your frozen ice cream stay maluable when serving from the freezer- no tempering in the fridge needed!